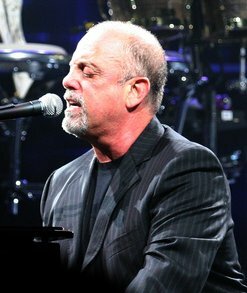 A Billy Joel favorite sparks thoughts of auditor independence. However, Rule 2-01(b), the general standard, relies on a reasonable investor, taking into account all the relevant facts and circumstances, reaching a conclusion as to whether or not the accountant is capable of exercising objective and impartial judgement on all issues encompassed within the accountant’s engagement. While this standard does not create a pathway to navigate around proscribed services and activities, it identifies an important criteria accountants, audit committees, and regulators use in assessing and concluding on independence matters. Recently adopted AICPA Interpretation 1.298.010 “Breach of an Independence Interpretation” provides a framework for that assessment. In his question during my presentation, the CFO’s perspective was focused on the employment relationship between the auditor and the client. The client, through the audit committee, engages and compensates the auditor. Does that employment relationship raise a concern about independence and objectivity? Another member in the group commented that his audit firm had ceased providing some very immaterial services – payroll services for two employees in a small, newly acquired subsidiary far removed from headquarters. Which is the bigger independence issue – the overall employment relationship – or a clearly immaterial proscribed service? According to Doty, the PCAOB’s auditor oversight programs promote high-quality independent audits and keep the auditors focused on their roles as gatekeepers who protect investors. Many audit partners at large firms have a large number of smaller accounts. Each might be less than 10% of the partner’s book of business. An informed outsider can readily conclude that the auditor’s objectivity is maintained for such accounts. But what if the client is a major client, a $50 million global audit fee representing the partner’s only account? Does the hypothetical reasonable investor’s evaluation of the partner’s objectivity, impartiality, and skepticism – his “independence state of mind” – change? There are four major protections against this risk, four legs to the stool. The first, and most important, is the professionalism of the audit partner. The partners are the linchpin here. Their training from day one forward must put them in the mindset of protecting the investing public, not serving a client. At their audit clients they are the gatekeepers, not the rainmakers. They need to truly believe in their role and their responsibility. In this regard, strict rules reinforce the understanding of what independence is. An auditor doesn’t have to wonder if it’s “okay” to own one share of his client’s stock but not 10,000. She has no concern over the relative size of a financial statement valuation engagement compared to the balance sheet. The rules set boundaries – they help set a mind-set. They also create the standards against which violations can be evaluated for their impact on independence. The second leg is the relationship between the auditor and the audit committee. The auditor is hired by and reports to the audit committee, not management. The late Roderick Hills, SEC Chairman from 1975 to 1977, referred to this leg as giving the auditor the additional protection they need to feel they can stand up to management during the audit. This protection is augmented by the PCAOB’s outreach efforts to audit committees. Doty’s third leg is the PCAOB’s inspection and oversight program and the improvements to audit quality that have resulted from those efforts. Through public release of inspection reports, to recent enforcement actions against firms and individuals, the PCAOB is laser focused on audit quality and independence. Indeed, partners growing up in a post Sarbanes-Oxley, post PCAOB world, understand and respect the regulatory environment. The fourth leg is the culture of the accounting firm, the tone at the top. Audit partners need to hear clearly from firm leadership that quality, including independence, is the most important part of their job, that no client is too big to lose, that the partner has the firm’s full and unwavering support when he or she is appropriately challenging the client on accounting and disclosure matters. Firm leadership must consistently demonstrate that it values audit quality and independence as Priority 1. Regulators have commented on the recent activities of the large firms and their impact on that fourth leg of the stool. To the large firms, assurance is a service line, and currently one that is shrinking in size, margins, and, possibly, focus. To the user of financial data, that signature on an audit opinion means a whole lot more. Whether the large firms view themselves as audit firms or professional service firms, the investing public focuses on their responsibility as auditors. So does the accounting student in his auditing class. And so do the regulators. Today’s audit partners, seeing the dynamics of the auditor/client relationship change after SOX understand this as well. Whether tomorrow’s audit partners and firms can maintain their “independence state of mind” in light of the changing dynamics of their firms is the challenge that lies ahead. You shorten one leg of a stool, it starts to wobble. How wobbly will that stool become before we see its impact on audit quality? Jay Bornstein is a retired partner of Ernst & Young who writes and consults on auditor independence matters.